Basic Site Evaluator Course Our new Course (2011) has been developed for both new and experienced assessors of professional programs. This course is available to site evaluators appointed by Members of the Association and if you have been assigned a PIN, you are allowed access to the course for two years. Pick your language of choice when registering. Our database is controlled through the information that you provide on the Registration Page. Once you register, you will receive an email with a link that is unique to you - when you click on that link (or cut and paste it into your browser address bar if your email system does not allow live links), you will be able to follow the sequence to enter your PIN number and access the course. If you do not enter your PIN number within 10 days after receipt of the email noted above, your account will be de-activated for security reasons and you will need to re-register. To avoid typing mistakes it is very strongly suggested that you cut and paste your PIN number into the appropriate field. PINs are valid for two years (24 months), after which time they will expire following activation. When you return the next time, there is no need to re-enter your PIN because our system recognizes you and will take you to the point that you left off when you click the Resume/Course button. Please report any problems or make any suggestions for improvement to jenny@megram.com. In 2003, members of the Association identified a need for enhanced training for accreditation team members/program evaluators. There was consensus that a generic program should be developed, relevant to all accreditation evaluators regardless of profession or occupation. The result is this online course. The course is for experienced and new assessors and builds awareness of the key steps and issues of an accreditation process. Upon completion, the evaluator will be able to build on these fundamental concepts during participation in education program accreditation in the evaluator's particular field. the main purpose of the accreditation review report and how it's prepared. This course is addressed to people from many different professions (e.g. 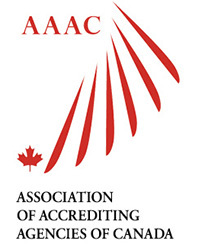 engineering, nursing, physiotherapy, education), who all need to learn basic accreditation information and skills before they continue on to more specialized accreditation training in their particular field.